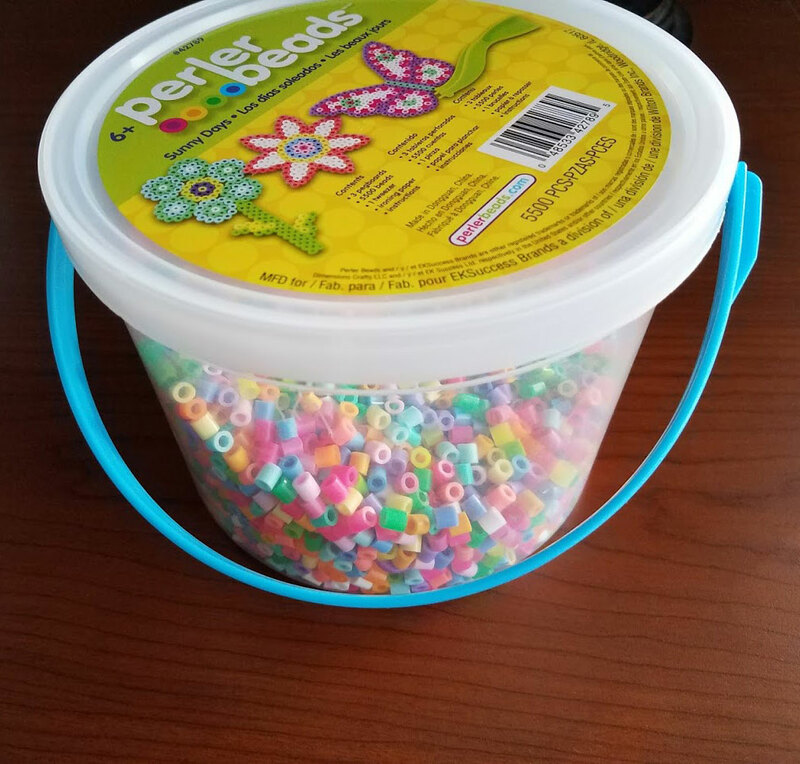 My daughter received a Perler Bead Bucket as a gift yesterday. What a terrific gift this was for her! She loves all things crafty. 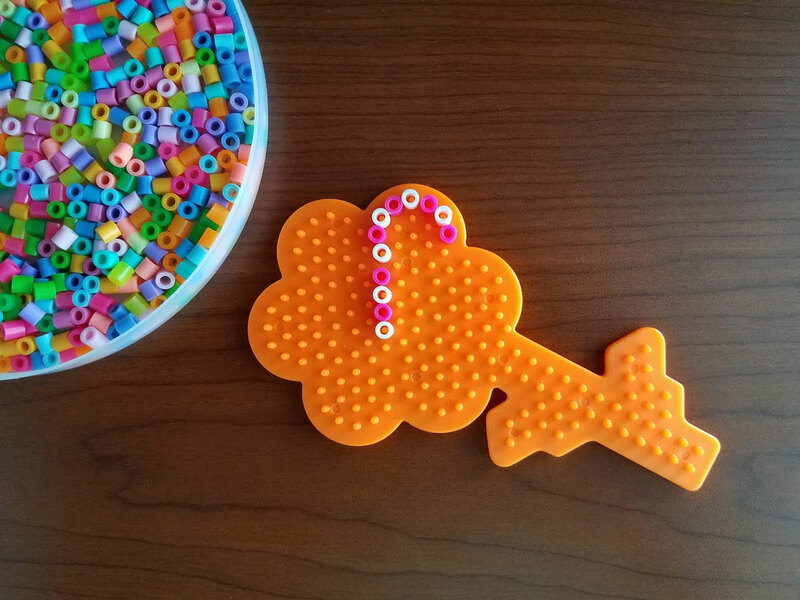 If you aren't familiar with Perler Beads , basically they are craft beads that are placed on pegboards in a design and then ironed with special paper over them to slightly melt the beads together. The finished products can be made into key chains, magnets, coasters, and many other things like Christmas ornaments. 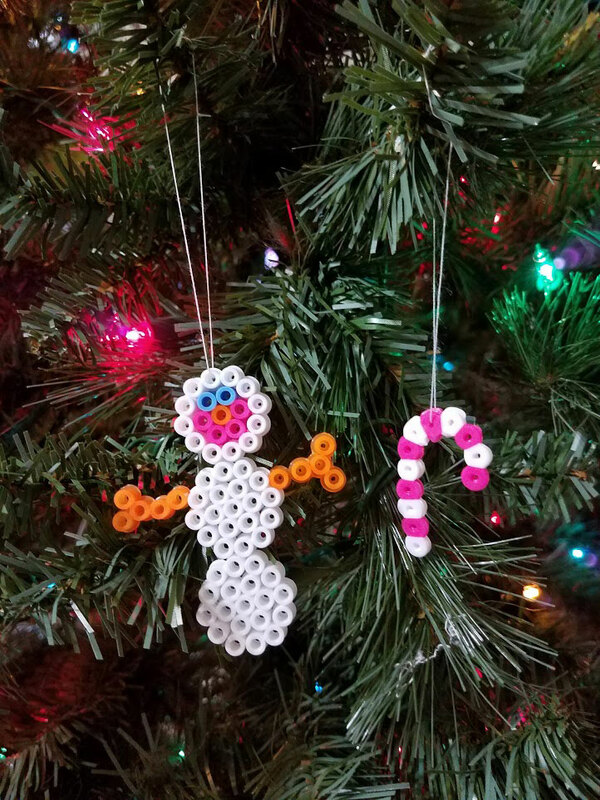 Yes, Perler Beads can be used to make Christmas Ornaments! So we decided to make Perler Bead Christmas Ornaments for Day 6 of 12 Days of Christmas Crafts. If you google "Perler Bead Christmas Ornaments" or look on Pinterest, there are so many creative patterns and designs. It's really amazing what you can create out of these beads! Most of the Christmas designs require red, green, brown, and black beads and a round or square pegboard. 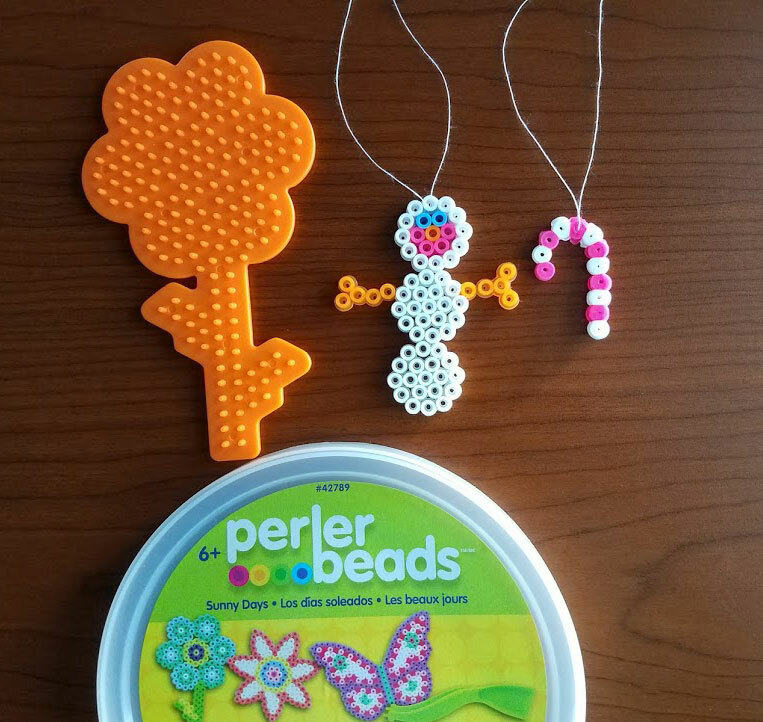 However, the bucket set that she received came with pastel and bright colored beads, a Butterfly pegboard, and two flower pegboards. While it doesn't seem like there is much we could do for Christmas with this set, we made it work (which shouldn't surprise you if you've read about how I choose crafts for my children). A Candy Cane and Snowman. We used the colors that came with her bucket and one of the flower pegboards. For the candy cane, we chose white and dark pink beads. 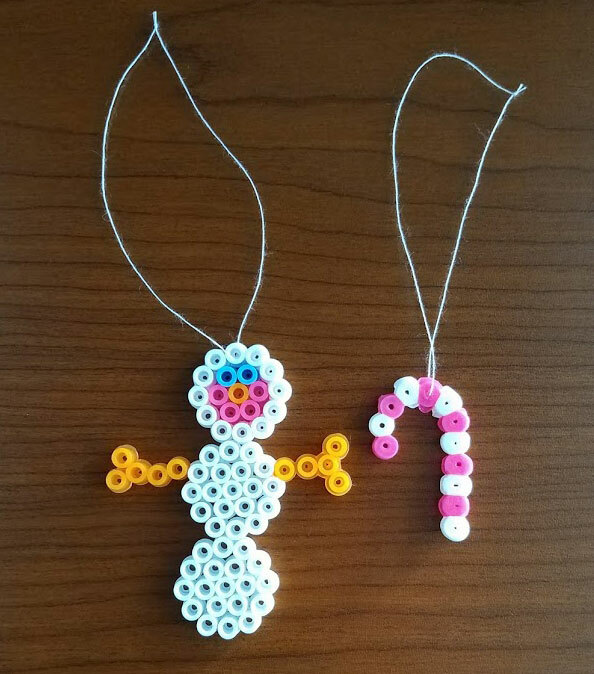 For the snowman, we chose light blue beads for the eyes, an orange bead for the nose, and dark pink beads for the smile. Then we filled in the rest of the body with white beads. A special type paper that came with the set (it's like wax paper) goes over the design before you iron it. According the instructions, your iron should be set to medium dry heat. Iron over the design for 10 to 20 seconds until you see that the beads are starting to melt together. You can iron both sides if you want a more melted look, or you can iron just one side. 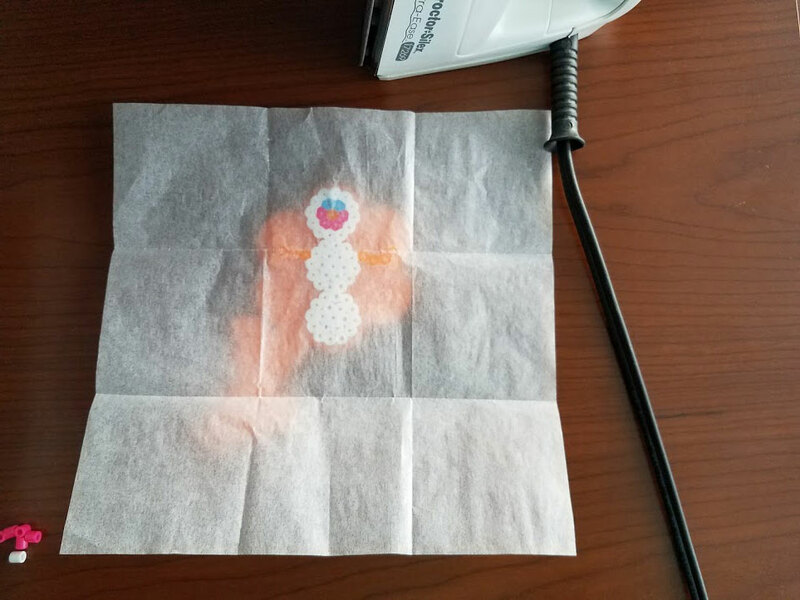 We chose to iron both sides for the candy cane, but just one side for the snowman. We just added a piece of thread through the hole of the top bead to complete the ornament. Instead of thread, you could use a regular metal ornament hook. We really enjoyed making these perler bead Christmas ornaments. I think this is just the beginning of perler bead crafts for us! 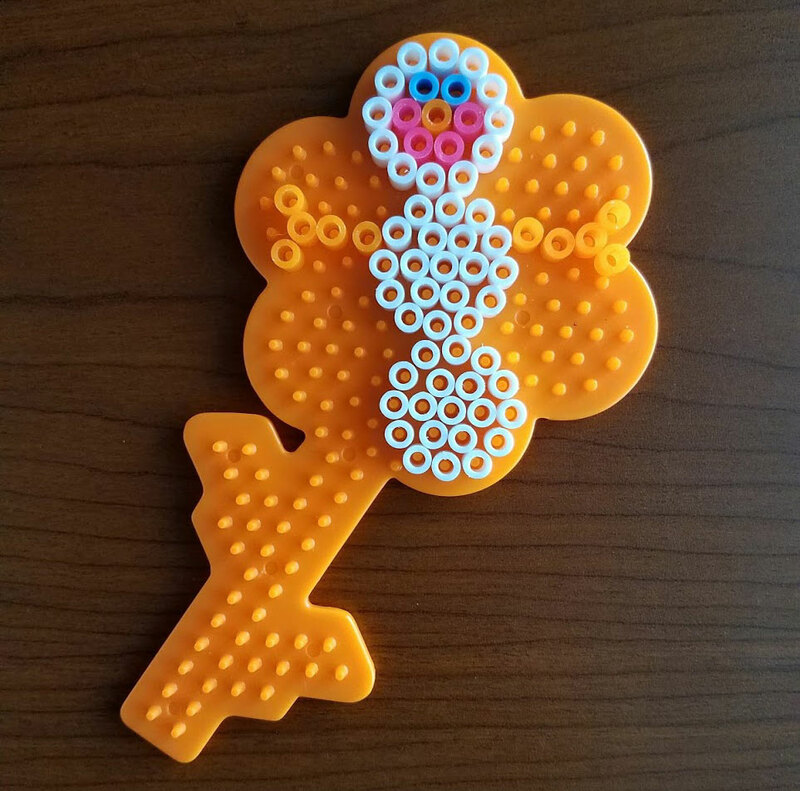 Have you ever used Perler Beads? What is your experience with them? When I first saw these on Pinterest, I knew we would be making them! 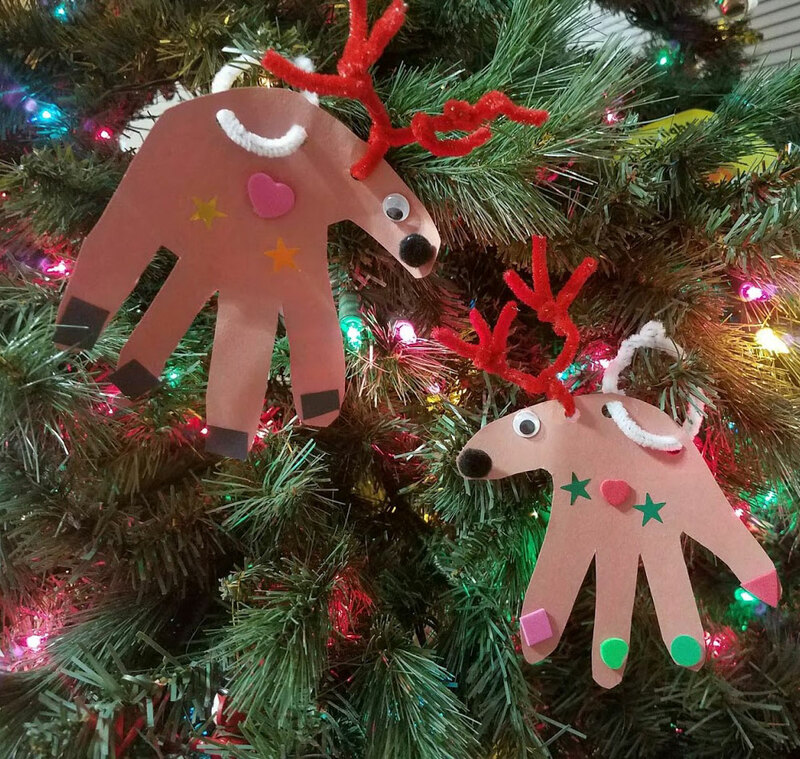 I think handprint crafts are adorable, and these Handprint Reindeer Ornaments are no exception. I love how they looking hanging on our Christmas tree, don't you? 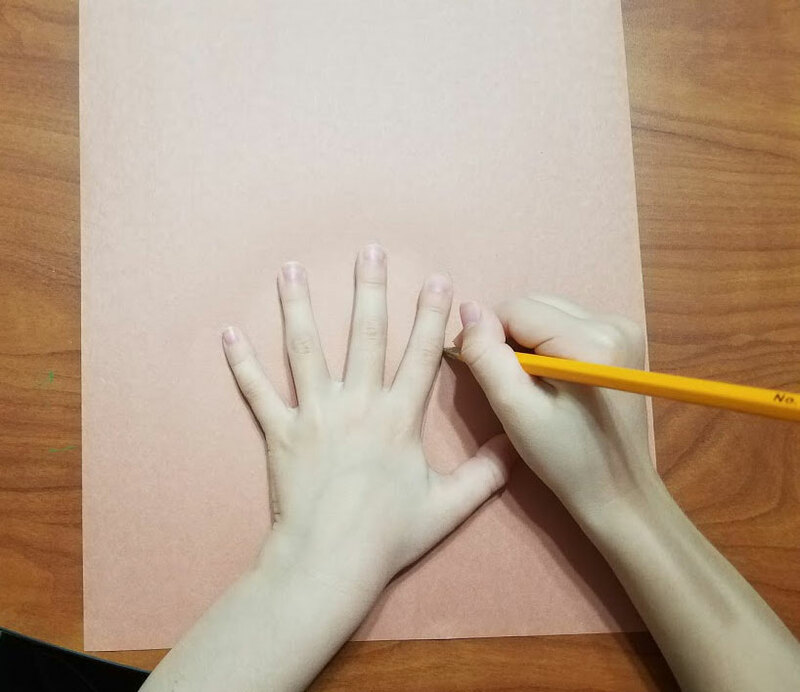 First, trace your child's hand. Or your child may be able to do this alone depending on their age/fine motor skill level. 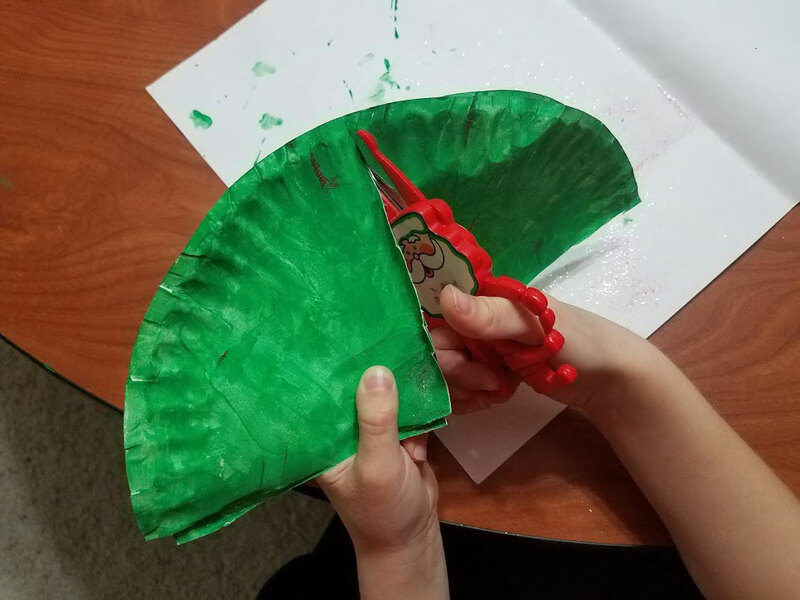 We used brown construction paper because it's what we had, but I think it would be better to use Brown Cardstock since it is thicker and would hold the weight of the decorations better. Next, cut out the hand print. 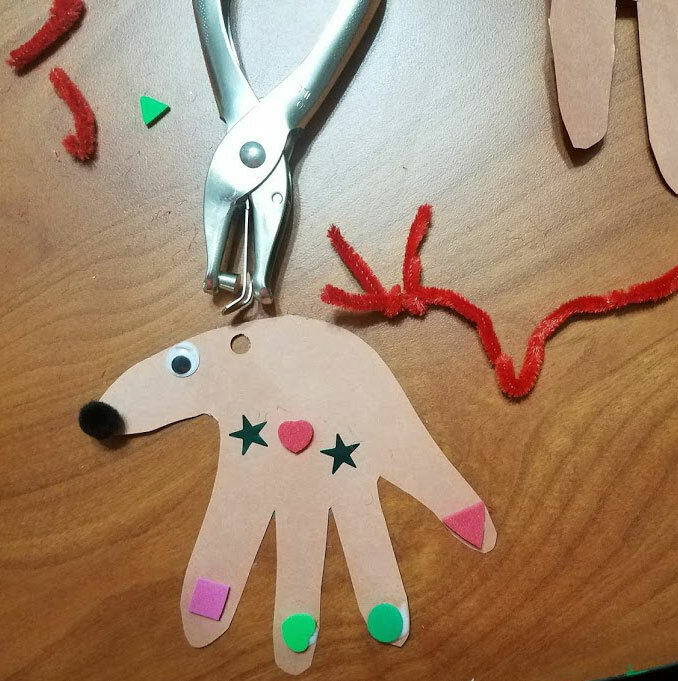 Now it's time to transform your cute little handprint into a cute little reindeer! We chose a red pipe cleaner for the antlers, a black small pompom for the nose, and small foam shapes and Foil Star Stickers to decorate it. Time to glue the pieces! 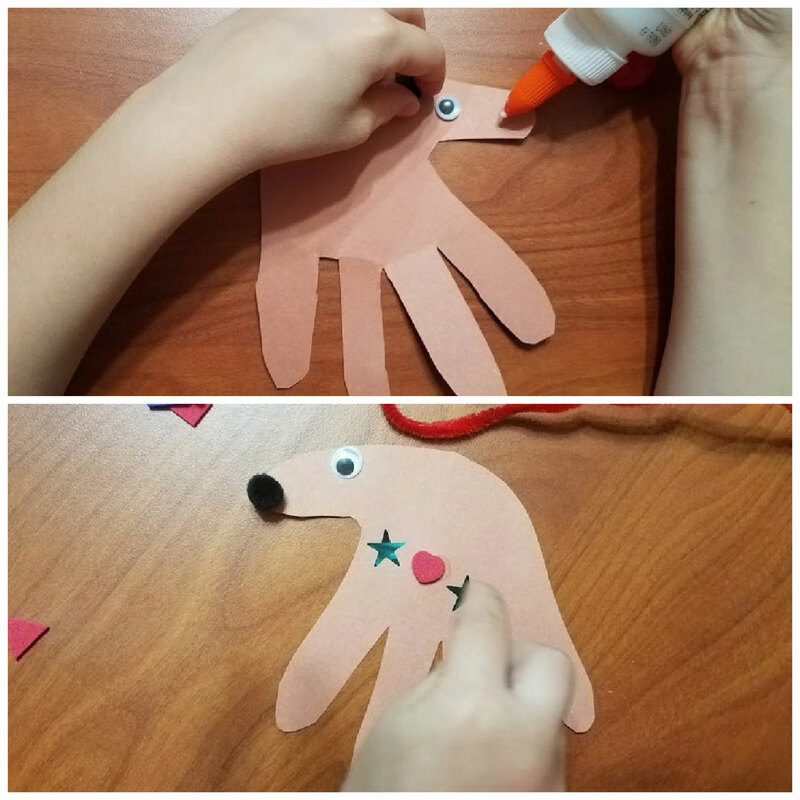 Glue the wiggle eye and pompom nose onto the handprint. 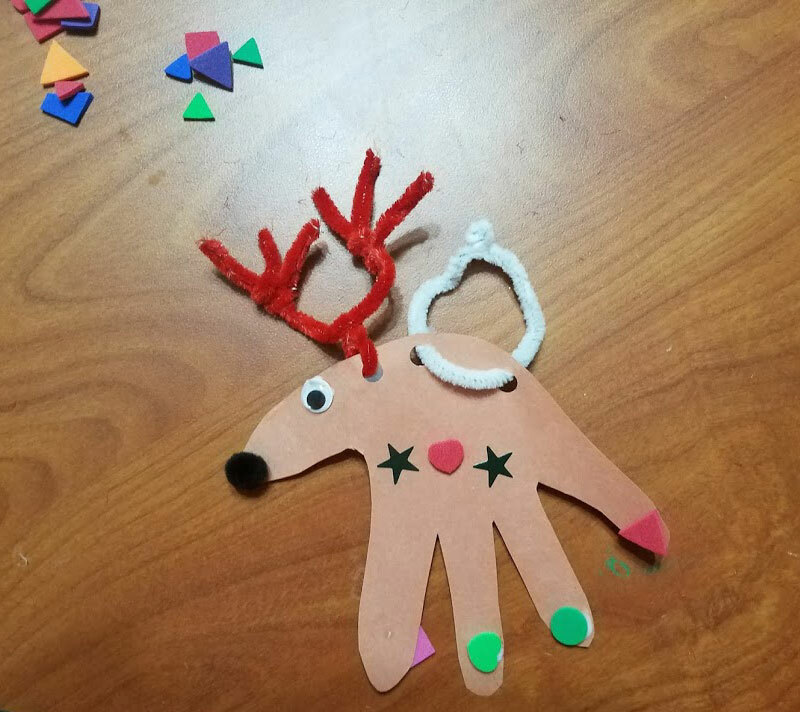 Then, choose 3 small decoration pieces for the reindeer's body. We used the foil star stickers and a heart shaped foam piece. Cut the pipe cleaner into pieces as shown in the picture. This step is best to be completed by an adult since pipe cleaners do not cut very easily. **WARNING** The ends of cut pipe cleaners are very sharp so be careful when handling them in this step and the next. Twist 2 of the small pipe cleaners onto one side of the larger piece. Only do this for one side right now. Punch a hole about 1/2 inch behind the eye for attaching the antlers. Now put the half assembled antlers through the hole and twist the pipe cleaner a few times near the reindeer's head. Now you can complete the antlers by adding the other two small pipe cleaner pieces to the other side. 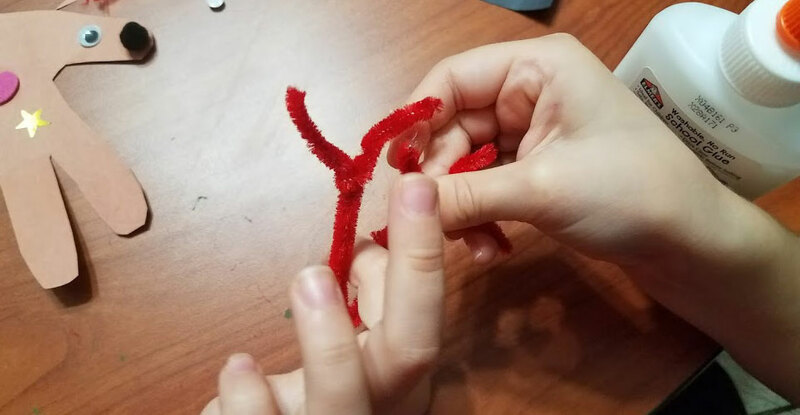 The pipe cleaners were a bit heavy for the construction paper, so we had to add a piece of tape on the back (This is why I think using cardstock would be a better choice for this craft). You don't have to add hooves, but at this point my children decided that their reindeer should have hooves. 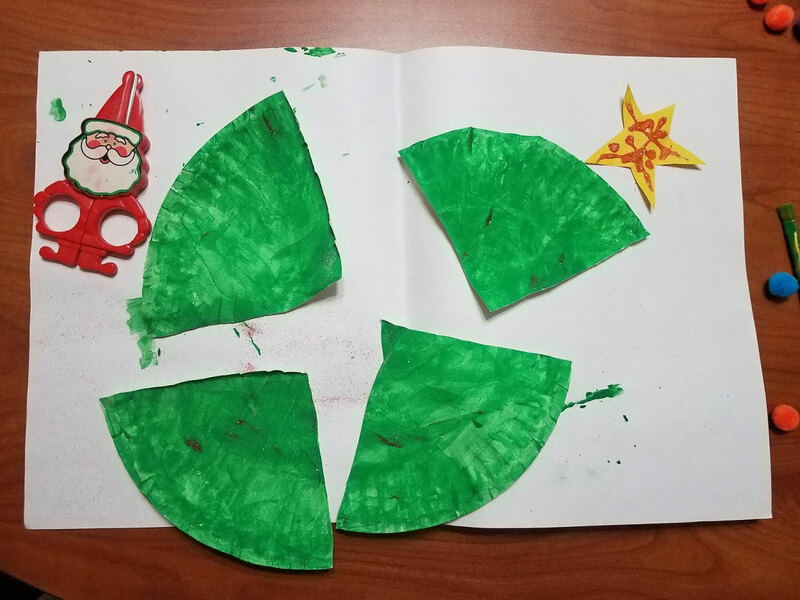 My daughter cut small black pieces of construction paper for her reindeer's hooves so they would "look like real reindeer hooves." My 3 year old chose more shapes for his. Punch two more holes in the reindeer's back to add the Christmas Tree Hanger. They should be about an inch apart. Put a piece of pipe cleaner through and twist. If you are using cardstock, a simple piece of ribbon or yarn with only one hole would probably work well. Your handprint reindeer is finished! And here are the finished handprint reindeer ornaments!! I think they turned out really well. What do you think? 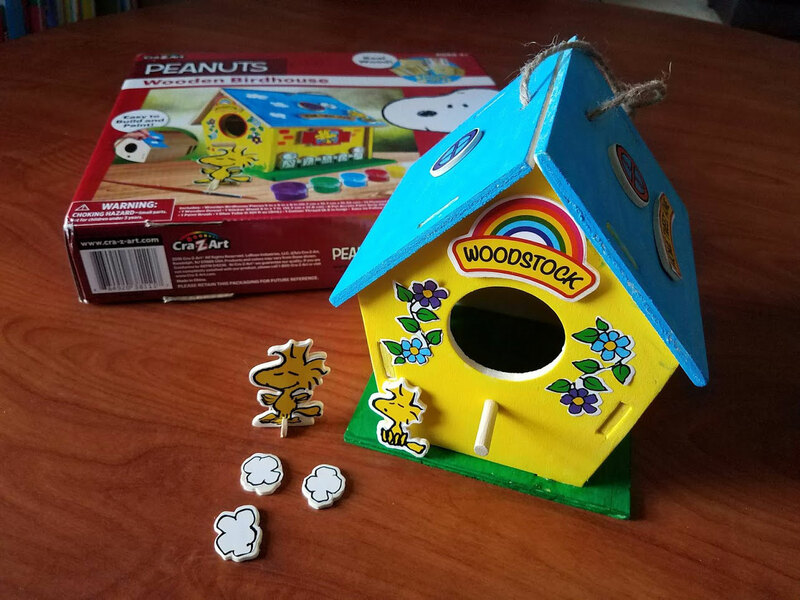 You can pin this craft on Pinterest if you would like to try it later with your children! And you can follow me on Pinterest for more craft ideas and tips on teaching your children at home. 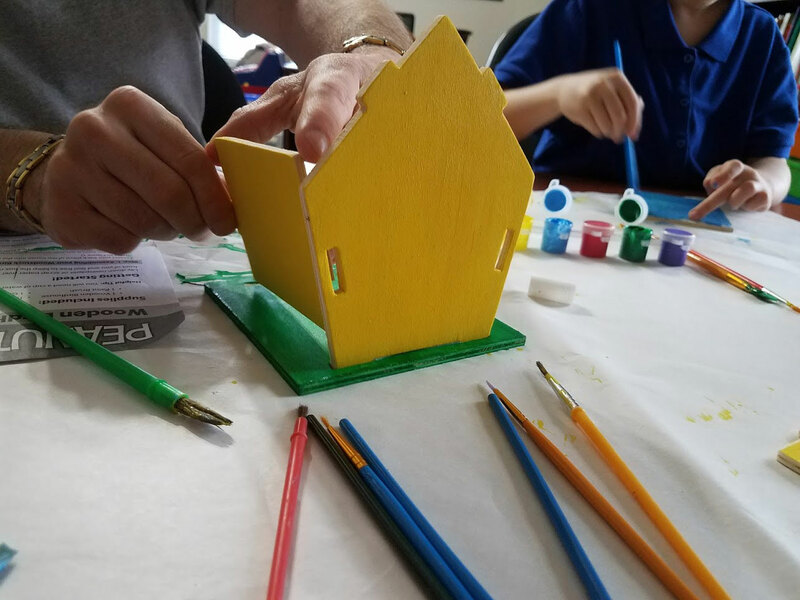 If you've read about how I choose crafts for our family, you know that I like crafts which use only simple items that we have on hand. 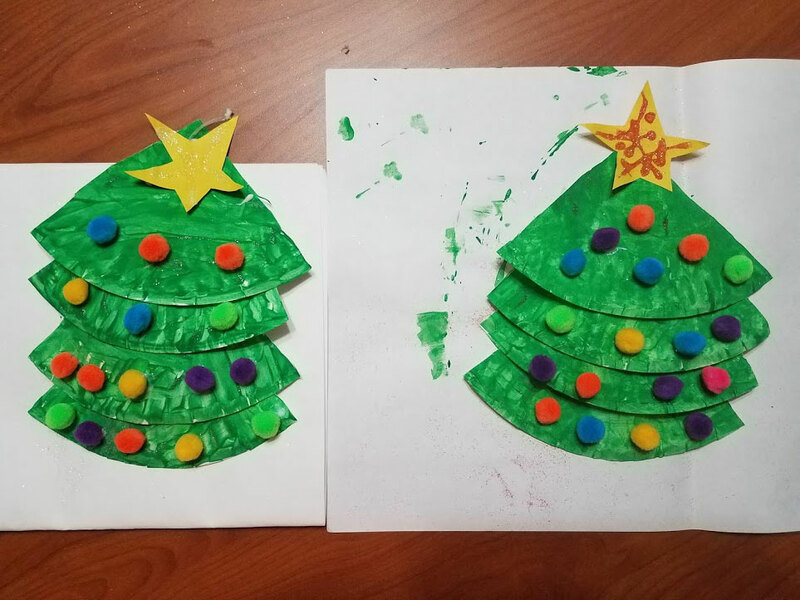 That's how I knew that these Paper Plate Christmas Trees would be a good choice for us. 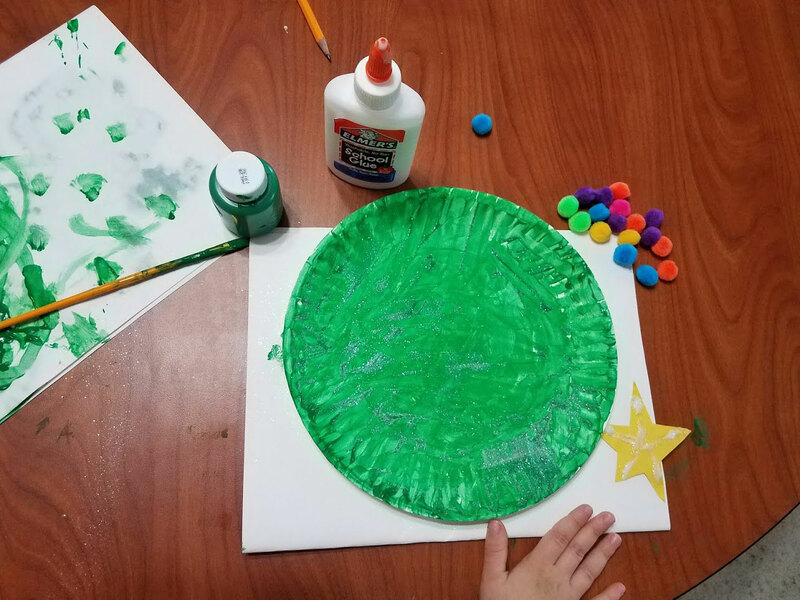 First, you will need to paint the paper plate. 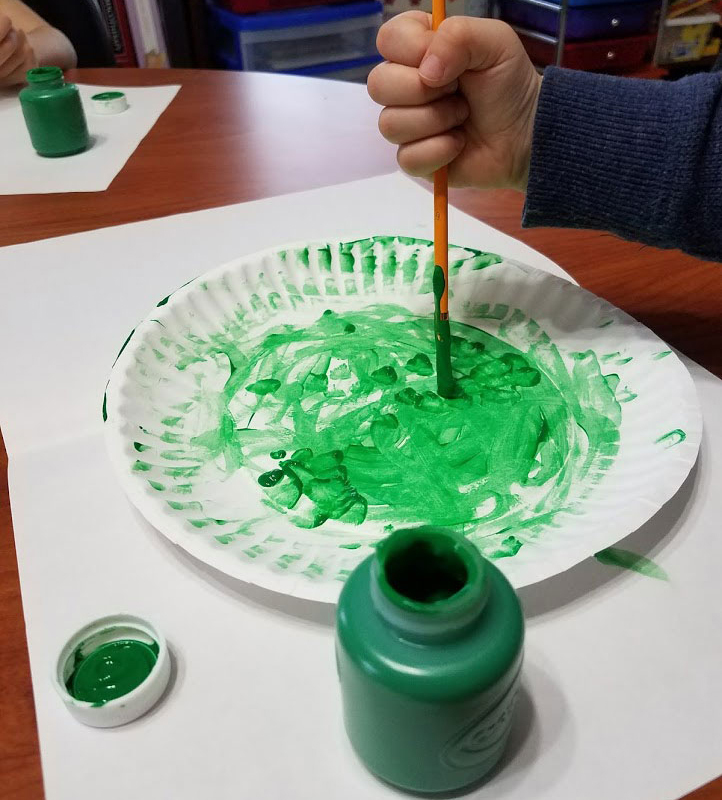 Although we use washable paint , I still like to keep things as neat as possible so we put a large piece of paper under it to keep paint from getting on the table. If you are using glitter, you can sprinkle it into the wet paint after the entire plate is painted. Cut a star from yellow construction paper. You can draw it freehanded or trace a star shape that you may own such as these Glow in the Dark Plastic Stars or a star cookie cutter. About 2 inches across is a good size for this craft. I drew ours freehanded, and then let the children cut them out. The star can also be decorated with glitter, but it doesn't have to be. 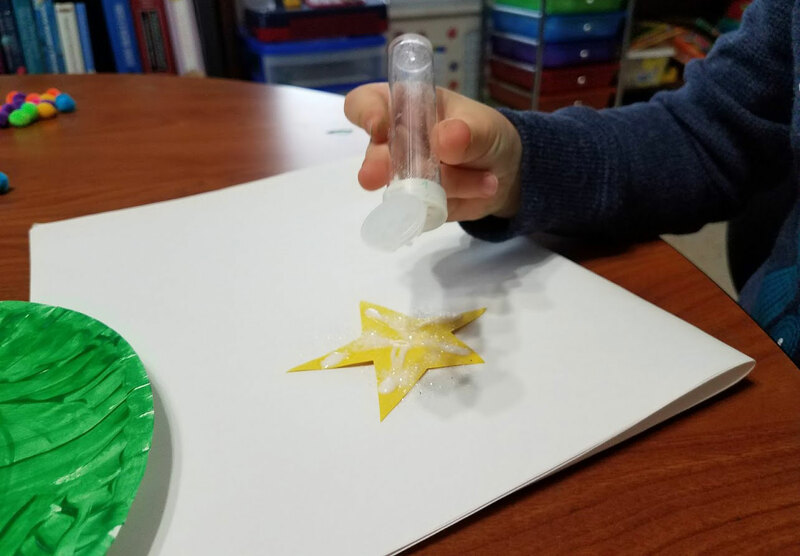 If you choose to use glitter, just make a design on the star with the white glue and then sprinkle away! I was feeling brave today, so we chose to use glitter. If you are going to use glitter, I have found that these Glitter Shakers do help to minimize the mess. Wait for the paper plate to fully dry. Some of the paint had been applied very thick, so we let it dry for about 3 hours just to be sure. When the plate is completely dry, fold and cut into 4 equal pieces. To do this, first fold the plate in half. Then cut on the crease. Next, fold each half in half and cut again. 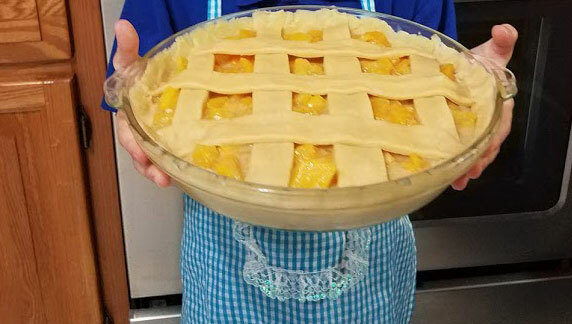 You should have 4 equal pieces when you are finished cutting. Now it's time to put the Christmas Tree together! Stack the Christmas tree sections and glue on the back. Use a small amount of white glue, and you may need to slightly bend the tree sections together to get the glue to hold. Glue the star on top of your tree and add pompom decorations . You can be creative here and decorate the tree how you want. If you don't have pompoms, you can use buttons, foam shape pieces, or even cut small construction paper ornaments for your tree. Both of my children chose pompoms. I think they turned out really well. We only waited about 15 minutes before moving to the next step. Add yarn to the back to make a hanger. We used tape to hold the yarn and it did well. Plus, my children love to use tape. 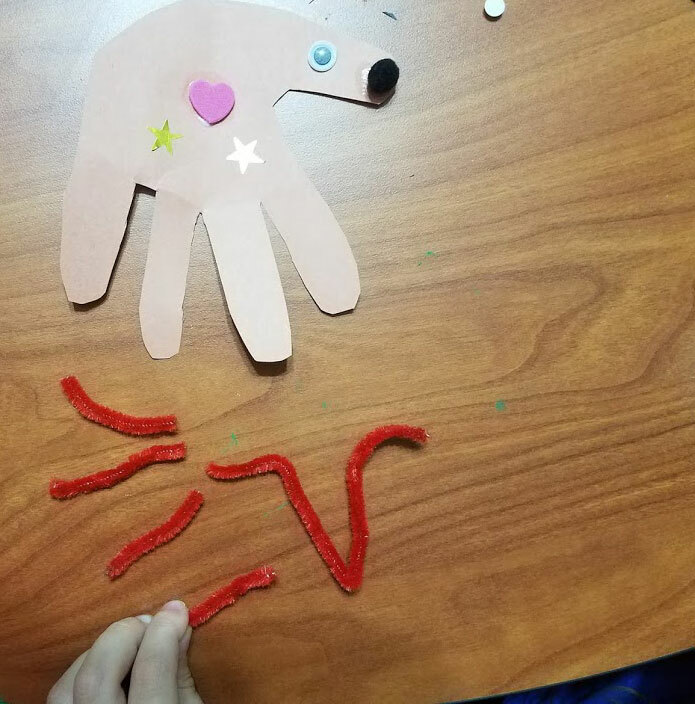 They loved this craft because there was glue, glitter, and tape involved! And here they are hanging on our Christmas tree! We thought this was a very fun and cute craft. The most difficult part for us was getting the tree sections to stay together with the glue. But once you figure out how to bend it and hold it in place for a few seconds, it will stay together. 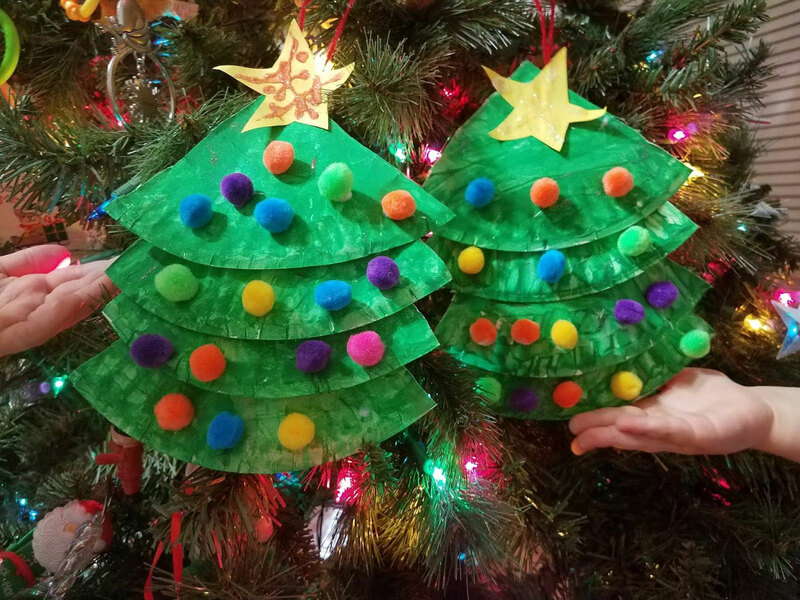 The best part of this craft was decorating the trees. My children absolutely loved this! What do you think of this craft? 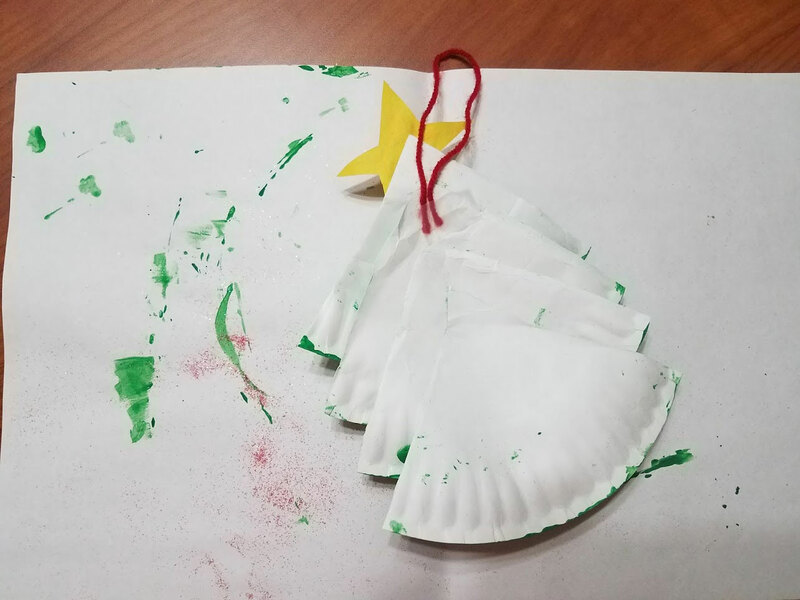 Are you going to make Paper Plate Christmas Tree Ornaments with your children? 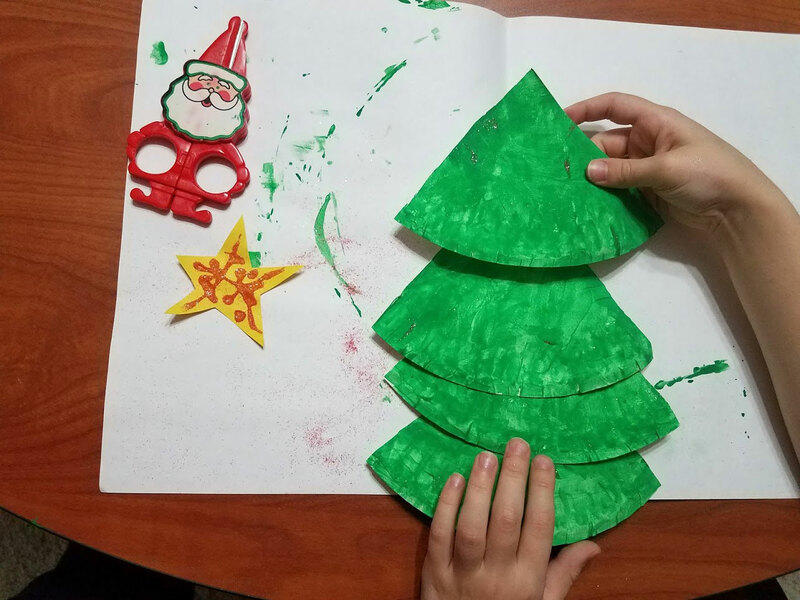 When the Christmas season comes around, we like to include several extra crafts and activities into our homeschooling days. This year, we have decided to do a holiday themed craft each day for the 12 days leading up to Christmas and we are calling it 12 Days of Christmas Crafts (check out Teaching Little Hearts #12daysofchristmascrafts on Facebook and Instagram). There are so many adorable crafts this time of year that it's going to be hard to choose only 12 of them! 1. Can this craft be made with simple items that I already have? I don’t choose crafts that require lots of special item purchases. 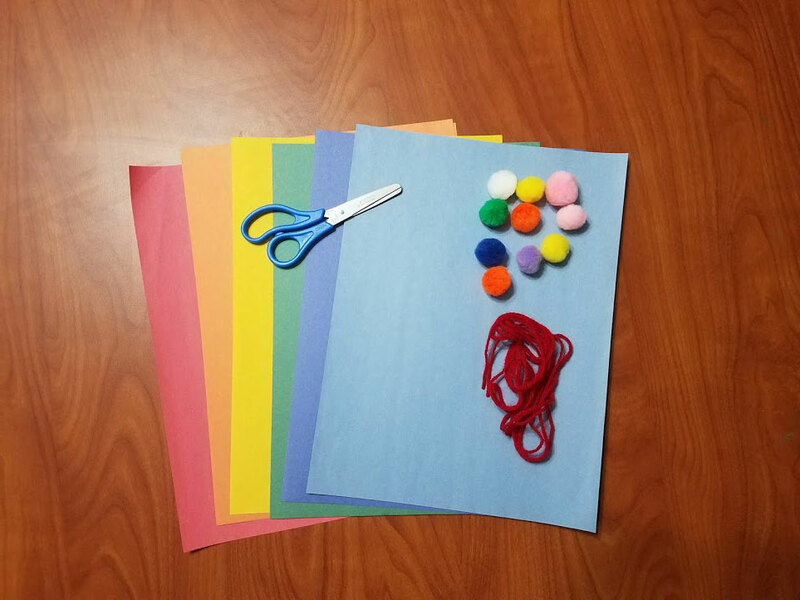 Most of the crafts and art projects we do use basic art supplies and simple crafting items like construction paper , pompoms , and wiggle eyes . 2. Is it possible to add your own touch to this craft? We like crafts that allow for creativity. Yes, they may all look similar, but you can add your own personal touch. 3. Is this craft easy to assemble? 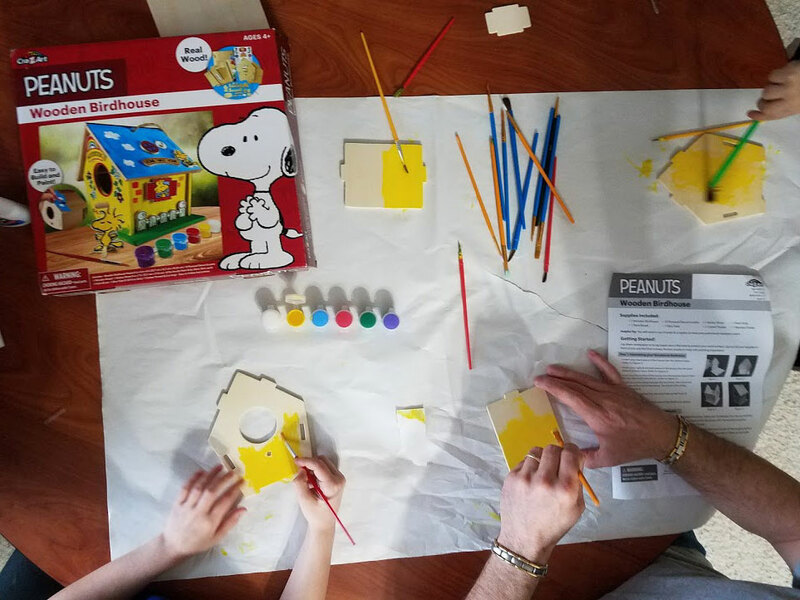 With a 3 year old and a 6 year old, it is important to choose projects that aren't too complicated and become difficult instead of fun. 4. Will this craft capture moments of my children growing up? 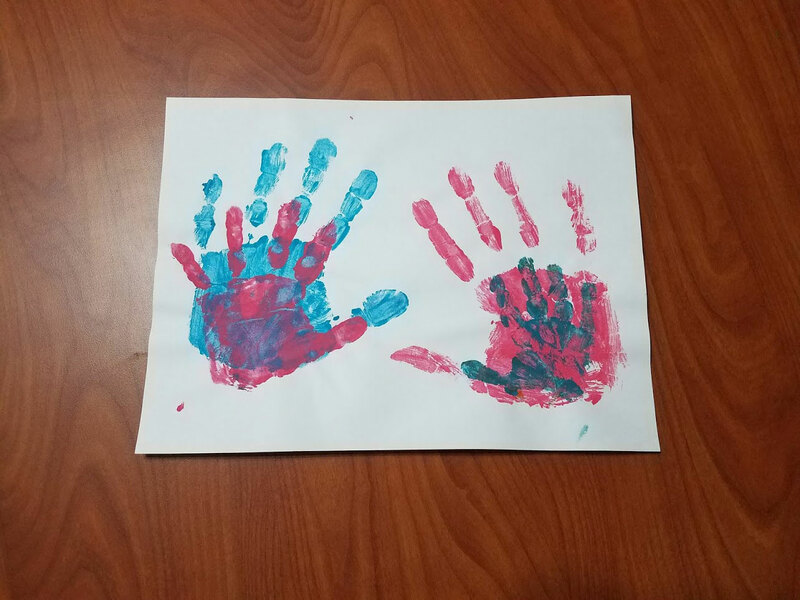 I especially love handprint and footprint crafts. I also think about photo opportunities with the craft (in making it, or with the finished project). 5. Is this craft something that we will be able to use/keep? I have a very hard time throwing away my children's artwork and crafts. So when I am planning art projects, I consider if it will be something useful or cute enough to keep. I also like edible crafts for this reason - they make something cute, take a photo, then they eat it and it's gone. And that’s how we choose our art and craft projects. 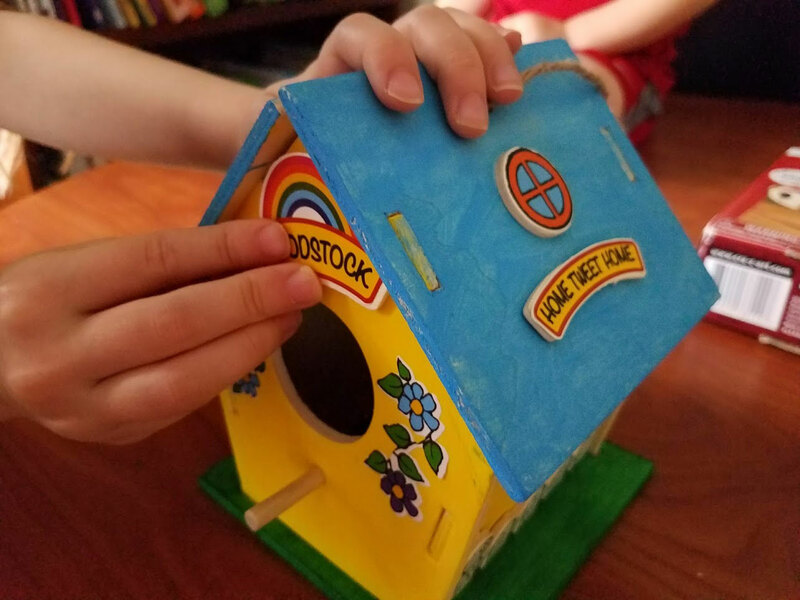 (We do occasionally buy painting or peel and press Melissa and Doug Craft Kits when they are deeply discounted). I hope you will follow us as we complete our 12 Days of Christmas Crafts. Just maybe you will find some craft ideas that are a good fit for your family. I would love to hear from you. 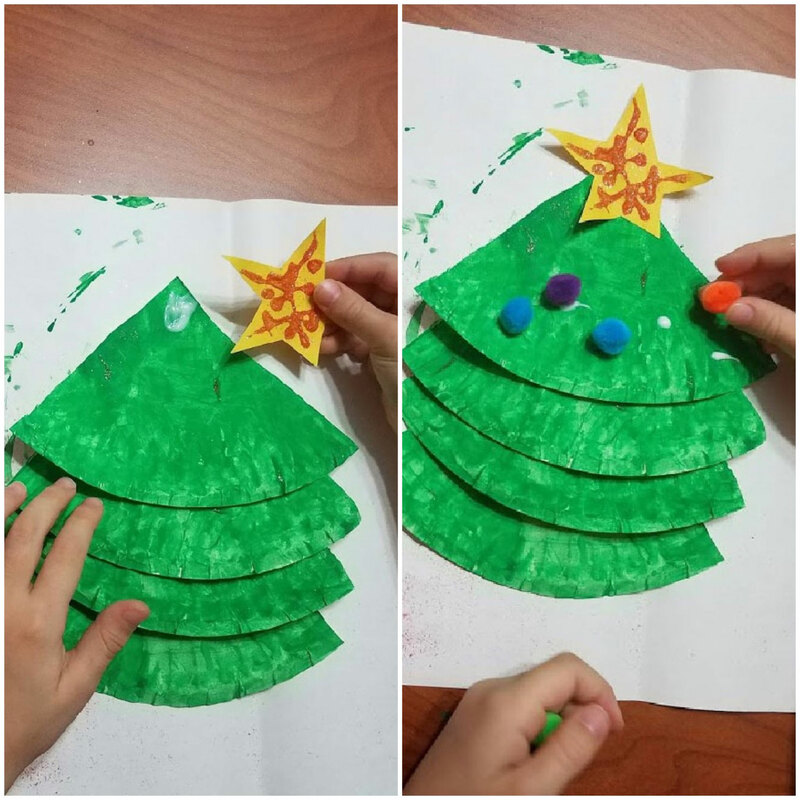 What are some of your favorite Christmas crafts? 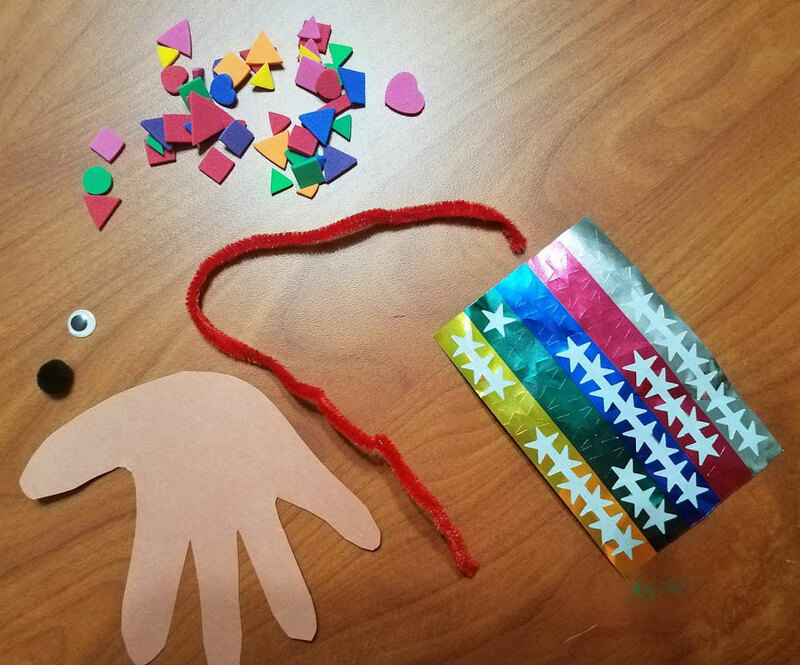 How do you choose what crafts to do with your children?